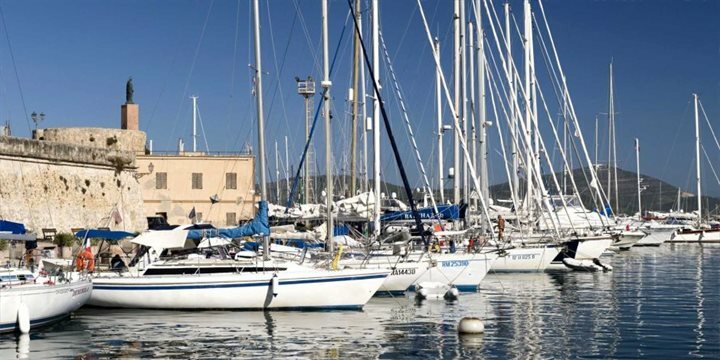 Alghero is an interestingly varied town with a historic, Catalan core, full of piazzas and winding lanes, green outskirts where our properties are situated and a sweep of easily reached sandy beaches. First, the historic centre demands your attention. Walk around the fortified walls, with the sea breaking on the rocks at your feet and admire the great defensive towers. Turn into the tangle of cobbled lanes to visit the Duomo (cathedral) and other public buildings, most of which clearly display Catalan influences, as do many of the street names. When you have done your dutiful sightseeing, find a small restaurant or pizzeria and afterwards go shopping, window or real, in one of the many small but generally chic boutiques. Many older buildings in the centre have only recently been restored and you will still find an occasional fisherman mending his nets in a doorway, however the serious fishing activity has its centre in the harbour just to the north of the walls and you can find the accompaniments to your main fish course in the daily market a short walk further. Starting to the north of the harbour and close to the built up areas, the beaches begin and stretch with a few breaks, right around the north of the bay and well beyond the town. In general, the further you go out of town, the more beautiful the beach and less crowded. At the furthest point west lies Capo Caccia, up to 300 metres high, a startling sheer silhouette in the sunset. Our properties are all in the semi-rural outskirts of Alghero. Surrounded by your own and other gardens and cultivated or semi-wild land. You will be as little as 5 and no more than 20 minutes from the town centre or the beaches. The land around Alghero rises to wild macchia covered rolling hillsides rather than mountains. There are scattered villages, many archaeological sites and some spectacular Pisan and Genoese churches, often isolated in the countryside.